Do You Need A Commercial Strength Carpet Steam Cleaner? Commercial steam carpet cleaners: A guide to help you buy the best commercial steam carpet cleaner for you and your company. We have a look at Daimer and Vapor Clean steamers. So you’ve decided that you need a commercial carpet cleaner for your business, office or factory… now what? 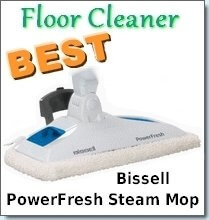 Searching in Google for a commercial steamer can become a bit of a headache; there are so many different companies with numerous steam cleaner offerings and carpet steam cleaners ratings. After awhile, they all seem the same. This article will serve as an introduction and give you a general overview of the main commercial steam carpet cleaner companies and we will look at the main features of their steamers. The first company we shall look at is Daimer. I am sure that you’ve already heard of this company as they are fast growing and one of the industry leaders when it comes to green and eco friendly cleaning. They have a wide range of products which include the KleenJet steam cleaners, Xtreme Power, Super Max and Vapor-Flo. Daimer is known for creating innovative products that exhibit high performance, power, durability, great workmanship and reliability. 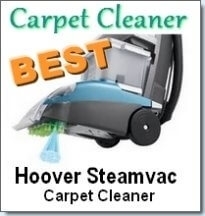 Their line of commercial steam carpet cleaners is called Xtreme Power ®. This line is made up of 3 steam cleaners: The Xtreme Power XPC-5700, Xtreme Power XPH-5800T and the Xtreme Power XPH-5900I. Each consecutive cleaner in this line is an improvement of the previous one and as such their prices incrementally increase from $1,696 to $6,194. What are their main features? All three supply a pump pressure between 60 and 100 psi and temperatures between 140ºF and 210º F.
The solution tank size is 4.5 gallons across the board and all three have a recovery tank size of 4 gallons. They take between 5 to 15 minutes to heat up and carpet drying time ranges from as little as 2 hours to as much as 6 hours for the least expensive model. One of the better features that you would be most interested in is that all three of these models have a 5 year limited warranty on the housing and a 1 year warranty on parts and labor. Commercial steam carpet cleaners see a lot of heavy usage, so a good warranty is essential. The second company we shall look at is Vapor Clean. This is an exclusive dry vapor cleaner company which supplies the finest Italian made vapor cleaners throughout the US. You certainly won’t find any cheaply made products from this company! That is a guarantee. 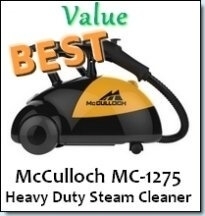 They have a wide range of steam cleaners that fit right between home and commercial use. However, I recommend the Vapor Clean Desiderio and the Vapor Clean UNILUX 3000 for your consideration when deciding on commercial steam cleaners. The Vapor Clean Desiderio is one of the very few vapor cleaners that have been laboratory tested to kill and remove harmful bacteria and viruses from carpets and other surfaces. It is *proven* to kill bacteria like E. coli, Streptococcus Faecalis, Staphylococcus Aureus, Pseudomonas Aeruginosa, Saccharomyses Cerevisiae and more. The cleaning power of this machine is nothing short of amazing. Their specialized water filtration system is better that the HEPA filtration system and when combined with another exit filter, it results in extreme air purification. The features of this commercial carpet cleaner includes a stainless steel boiler, 2.7 liter boiler capacity, 1.5 liter chemical injector, commercial grade vacuum for high suction and extraction and tons of attachments. But what is the best feature in this vapor cleaner? You guessed it- its warranty. They, offer a *lifetime* warranty on their boiler and heating element! It doesn’t get better than that. The Desiderio will cost you between $1195 and $1995 and is worth every penny. A closer look at the Excellent Ladybug XL2300 TANCS Commercial Grade Vapor Steam Cleaner and the MondoVap 2400. We look at industrial carpet cleaners and perform various industrial carpet cleaner reviews. 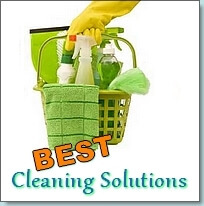 In doing so, we determine the best and cheap industrial cleaners available. A comprehensive list of commercial cleaning franchise opportunities that is currently available to the public which includes specialized commercial cleaning equipment.